(Text automatically translated) Large 50m2 terrace where children can play under the supervision of their parents who enjoy the sun. Since 2012, new summer kitchen with a barbecue and a gas hob. The pool (9.40 x 4.50) lies against low-and a bowling green, a swing. 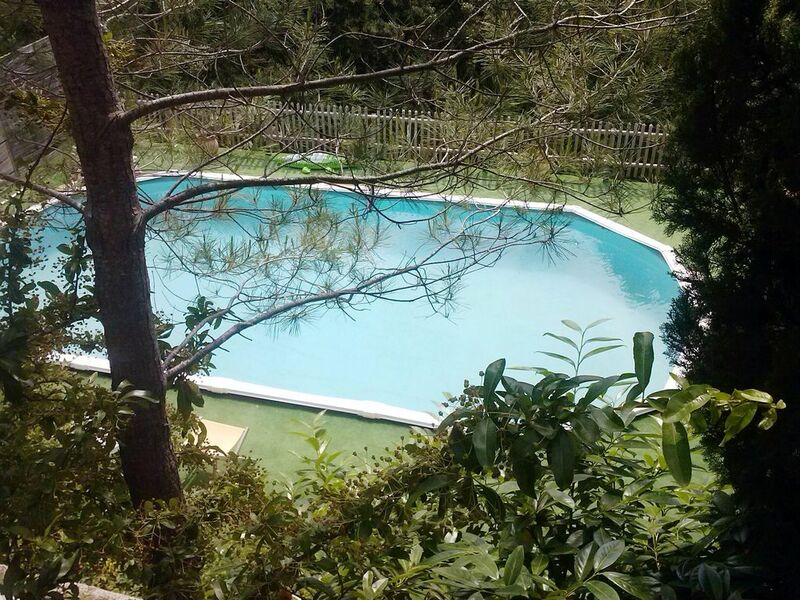 You can relax here after the beach, sports, many cultural visits in the region (Marineland). For the evening, 4 TVs and Canal Satellite, videotape children, stereo with classical, jazz music. Otherwise, a cinema at La Coupole in La Gaude, many opportunities for nightlife on the Riviera (shows, piano bar, dancing ...) For shopping, a small supermarket (ED) waiting for you less than 5 minutes and a farmer's market on Saturday morning. My family and I had an amazing holiday in a stunning house. Thank you so much to Christophe and Olivia for a superb holiday. The house was simply perfect. It was in a beautiful location, perfect for relaxing. The facilities in the house were first class and we all really enjoyed the private pool. I would highly recommend this property to anyone. Christopher and Olivia were warm and welcoming and made sure we were comfortable and settled before they left us to our holiday. The accommodation was perfect for the 6 of us, and the outdoor area and bbq saw a great deal of use. I would recommend the villa for families and/or groups of friends. "If you want a traditional Provencal house with a private swimming pool, this is the place for you. The photos of this house do not show what an excellent location the house is in. The house was equipped to a high standard (especially the kitchen) and it had everything that we needed. The family were very friendly and helpful. We had an excellent holiday in this house! Si vous voulez une maison traditionnelle de Provence avec une piscine privée, c'est l'endroit pour vous. Les photos de cette maison ne montrent pas dans ce qu'est un endroit excellent. La maison a été équipée à un niveau élevé (particulièrement la cuisine) et elle a eu tout dont nous avons eu besoin. La famille était très amicale et agréable. Nous avons eu des vacances excellent dans cette maison ! Un excellent séjour, connaissant bien la région, surpris, par le calme et l'espace offert. "Maison très agréable, et, jardin très pratique avec de jeunes enrfants. Environnement très calme. Parking pas très simple d accées. Piscine très bien protégée." (Text automatically translated) take the motorway A8 exit Cagnes / Wed, 3rd traffic light, turn left at the next traffic light left again, then go straight to the entrance of the village of La Gaude (10 km) at the restaurant "the gaudoise guinguette "we will wait. (Text automatically translated) The Lerins islands, ports of Antibes and Monaco, Marineland, the flower market in old Nice, the Croisette in Cannes and fireworks festival, pottery of Vallauris, blown glass from Biot, the fragrances from Grasse, the paintings of St. Paul de Vence, the Mercantour for mountain walks (1 hour and a half drive) and many other posibilities. It is impossible to get bored on the French Riviera!